I get this question a lot so I thought I’d write a blog entry to explain it. you can ask this question to 20 video guys and they will give you 20 different answers according to their philosophy on what is most important. 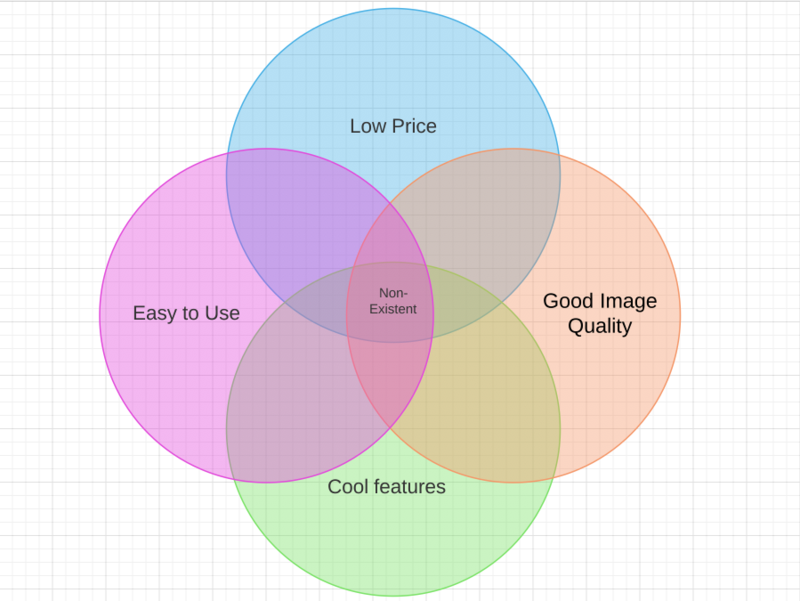 To me it often comes down to a debate on these four issues: Price, Quality of Image, Features, Ease of Use. There is no camera that falls perfectly in the center of this Venn diagram. So you have to make a choice, do you want cheap? Do you want easy? Then you may not end up with anything that has very good image quality or ease of use. Do you want cheap, but don’t mind it being hard to use? Then you might be able to get something a little better looking, but be prepared for the learning curve if you’re not a pro already. Rolling Shutter – DSLR cameras have what’s called a “rolling shutter” this means the image is being refreshed from top to bottom instead of all at once (which would be “global shutter”) This effect causes images to distort when the camera is panned or zoomed quickly, or when something moves quickly past the camera, resulting in images that look like the one below. Rolling shutter is worse on some cameras than others. Most Nikon DSLRs have very bad rolling shutter, much worse than canons which is part of the reason most people won’t be buying Nikon cameras for video. The more popular cameras such as the Canon 5D, 7D, T2i (and higher), and the Panasonic GH4 have slightly better rolling shutter than most cameras, but don’t think that a higher price brings less jello-frame. Sony’s A7s which is in the higher end of this category has terrible rolling shutter, though otherwise it is a great camera. Rolling shutter can be easily avoided with the use of shoulder mount rigs, stabilizers, and good shooting technique, but it is a factor that pretty much all DSLR users have to contend with to some degree. Sound – the issue with sound on DSLRs is basically boiled down to the fact that no DSLR-type cameras come with professional audio inputs. Many of them don’t have audio inputs at all. This is one of the problems that makes DSLR shooting quite complicated at times. The built-in mic is basically useless for anything but reference. If you use the on-board audio input you’ll still often end up with sub-part audio as it is not balanced and many cameras have an auto gain or noise reducing ‘features’ that actually make it worse. The most common way around this is to record using an off-board audio recording device. In the past few years there’s been an explosion of audio devices for this purpose; some of which even mount directly to your camera. After recording this audio you then have the added step of syncing your audio and video – a process that is thankfully now automated in most editing programs, but still takes time. 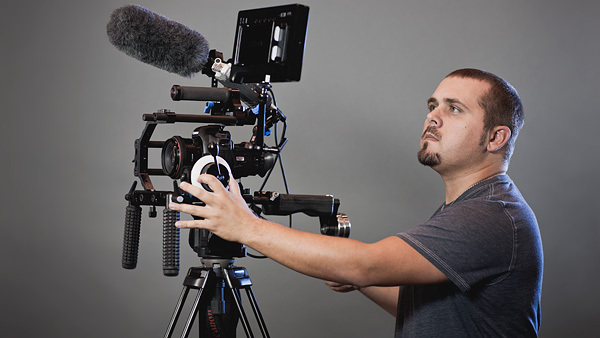 Rigs – as mentioned above, DSLR owners will usually invest in camera rigs that help with the ergonomics, but they often have to take into consideration mounting an audio recorder, a shotgun mic, a electronic view finder, a counter weight, a external video recorder, follow focus, matte box, tripod adapter plate, grip out riggers, top handles, cages to protect your camera, and a battery back to power everything. This gets very cumbersome and makes shooting much more complicated every time you set up and tear down. Traditional video cameras come in two flavors: professional and consumer. While most retailers make the distinction of professional based on the audio inputs, I believe that a professional video camera should also either have 3 CCD chips or at least a 1/2″ CMOS chip. Anything less than that usually results in lower image quality than most pros would stand for. Pro cameras should also have removable lenses. By the way, if anyone ever uses the word “prosumer” (a mash up of pro and consumer) to describe a camera – don’t take that person’s advice, that’s what amateurs call their consumer equipment to make it sound better. Plus the stuff that usually gets called that is often the worst of both worlds; not great price, not great quality. To get the same image quality out of a pro video camcorder will cost you exponentially more than a DSLR, but video cameras are far easier to use than DSLRs and you can get much better sound quality out of them without buying any external recorders. Many of the features that you have to buy to add on to DSLRs are built into traditional video cameras, such as electronic view finders, ND filters, and shoulder mount-ability. Higher end video cameras often come with lots of cool features that really give you that “wow” factor. As much as you can. That may sound frivolous, but I mean it. I’d say spend at least a dollar for every person in your church, but that should be a lower limit. Why spend money on cameras? Because we’re telling the greatest story ever told! When people see work that looks really low quality, they’re not going to take it seriously and poor quality doesn’t glorify God. At the same time I know we don’t have unlimited budgets so I’ve prepared a range of cameras from $500 to $15000 for you to look through. I’m going to give you a few different recommendations and I’ll be the first to say that these may go out of date, but I’ll also say that not all technology advances the way phones, tablets , and computers do. Many people still use the same cameras they bought five years ago and are happy with the results. Cameras tend to go in at least 2-5 year cycles, so if you buy a camera that is a newer model it will be up-to-date for around 3 years on average and could be functional for up to ten years depending on the model. (Unlike your phone which will be out of date next year or your computer which was out of date by the time you finished this sentence.) I’m going to give them a rating based on the four factors I mention above. The rating is on a scale of 1-10, ten being the best. I would like to clarify that a rating of 10 doesn’t mean that it’s the best there is, it just means that among the cameras that I’m discussing it’s among the best. So here are a few recommendations. Bear in mind that this list is primarily for Field cameras, that is, cameras that you’re going to use out and about – not for recording services. If you want to record services, I’ve made a note of the two cameras on this list that will work for that purpose, but if you’re really wanting to knock that out of the park you’re going to have to drop some major coin on at least three cameras, a switcher, and several expensive pieces of infrastructure, so this list isn’t addressing that set up. 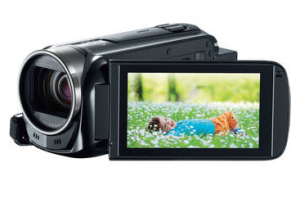 The Canon Vixia HF R series – Cheap, Easy, but bad image quality (especially in low light) and very few useful features. I debated even putting this one on here, but often times I get asked, “what’s the cheapest thing you’ll recommend?” The Vixia series is the best consumer series of cameras. You can actually spend up to $2000 on a high end vixia, though I don’t recommend it as you can get a better camera for that price. The HF R series is constantly changing. At this point I’d recommend the HF R52, but really any Vixia camera close to $500 will be similar; very easy to use, very affordable. The image quality will be acceptable for many applications, but it will look like consumer video. Also the camera itself looks like a consumer video camera, so don’t expect people to take you seriously while you’re using this thing. 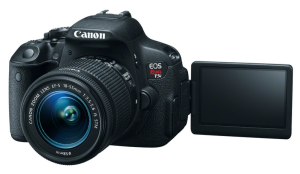 Canon makes a load of great consumer model DSLRs that do video well. The T5i is one of them, but really if you get a T2i or higher you’re getting basically the same camera with some minor feature enhancements. Its audio feature set is limited and options with frame rates are also limited. The picture quality is awesome in day light, but can get a little rocky in lower light situations. While it is easy to use for most, to take full advantage of the camera’s capabilities will require some knowledge. Having said that, it’s possible for an amateur to get a really good image out of this camera with a limited knowledge and some tutorials online. The biggest disadvantage is audio. If you’re wanting to capture audio, this is not your camera. 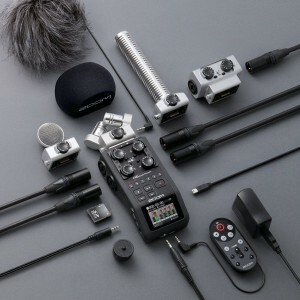 You will need a seperate recorder such as a Zoom H4n or Tascam’s DR-40. Another disadvantage is the record limits. The camera can only record up to around 12 minutes at a time. Shooting film-style, this isn’t a big deal, but longer form programs make this camera useless, unless you hack the firmware with something like “Magic Lantern” that adds several missing features, but will void your warranty and could mess up your camera since it is a share-ware program. Also there are many features that professionals look for that won’t be included such as higher frame rates, zebra striping, or professional video outputs. To get this most out of the camera you’ll also want to spend more on lenses. The cool thing about buying lenses for the T series is that you can get glass that will fit higher-end cameras (as long as you get APS lenses and not APS-C lenses). Lenses (pros often just call them “glass”) are a good investment as they’ll outlast your camera and can be used across many different kinds of cameras given the right adapters. This is most often the first camera I recommend. While the image quality is not stellar, it’s still better than most consumer cameras. It has professional audio inputs (Two XLR plugs) and it has a decent size sensor. It also has professional exposure settings. While it is easy to use, it’s not stellar at anything – the price for quality is just OK, the feature set is only OK. It’s a very solid camera, but it isn’t an amazing camera. With no removable lenses and no high frame rate features, it gets the job done, but won’t wow anyone. Having said that, it’s more than enough for many churches and will give a boost in image quality and audio quality over other options, so in many ways its the closest thing to being better of both worlds, though it’s far from the best. XA30 vs 35 – so what’s the difference between these two versions of the camera? 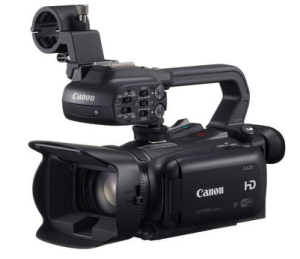 (aside from $500) The 35 comes with professional HD outputs this is only necessary if you’re doing a multi-camera set up and live switching. I mention this because if you ever plan to do a multi cam set up in the future you should spring for the XA35 because it will leave you more flexibility for that. 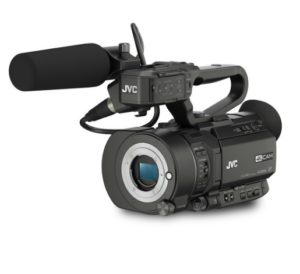 Just to prove that I’m not a total Canon fan boy, I’d like to note that my first real professional camera that i’m recommending is a JVC. This Camera has the same size sensor as much higher end cameras. With professional audio inputs, it’s the full package. It also has removable lenses, but unfortunately JVC doesn’t make lenses so you’ll have to purchase a lens separately. Any of panasonic’s micro 4/3 power lenses SHOULD do the trick, but be prepared to return them if they don’t From the research I’ve done people say they work, but any time you’re working with two different brands, you’ve got to be flexible. With an adapter you can even make this guy take canon lenses and there are lots of options that open up from there, but if you want good cinema lenses Rokinon’s micro 4/3 lenses are pretty solid. It also comes with a shotgun mic and can be shoulder mounted out of the box. In some ways I’d say that this guy is the best for the money. It’s the most price/image quality you can get at this price point. This is another one where investing in good lenses is a necessity if you want to take full advantage of what you’ve got. Perhaps the greatest strength of this camera is that it will work well shooting live events as well as field work. The rest of the cameras below are great for field work, but wouldn’t really work in event production, especially in a multi cam situation. This guy (and the XA20 above) are really the best on this list if you’re wanting to capture worship services, especially if you want to do it from multiple angles, but that’s another blog entry. Ok I do get questions about 4K – what is it? Do we need it? Should we spring for it? 4K is a standard that’s approximately 4 times High Definition video. It is absolutely not necessary and I doubt that it will ever reach the market saturation that HD has because it only really makes a difference if your screen is over 60 inches. It’s kind of a digital version of film (film lovers, please don’t get onto me for saying that) Why would you want 4k then? For a few reasons: Capturing video in 4k gives you lots of options in post with stabilizing, cropping the image to get a new angle, and having the highest possible quality and color info coming into the edit. It also does ensure that if 4k does take hold in the market you’ll have footage that’s ready for it. It also just looks great; if you can afford to go higher quality, why not? If you ever think you might want to show your work in the real movie theater I’d recommend shooting and editing in 4K, but if you’re wanting to get to that place you don’t need to be taking my advice, you need to be going to film school. One consideration to take with 4K is the fact that it does take some substantial editing hardware; a high end work station and fast hard drive to support the higher bit rates as well as some good monitors to be able to see all the detail. The Canon C100 has great image quality right out of the box, with a big sensor and a great feature set, but it is down right expensive. Canon’s “C” series has some of the best cameras available, but all of them come at a price premium. This is the first camera on this list with a “Super 35” sensor. This is the largest sensor you can get short of “full frame” and if you’re getting really serious about your video I wouldn’t go any smaller than this. The C series cameras all have amazing image quality that doesn’t require much tampering with in post, but the cameras tend to be awkward to use ergonomically. With XLR ports and the ability to tack on canon glass, this guy is the littlest brother in the C series, but he is by no means a low end camera. The C stands for Cinema, so basically you’re getting a digital cinema camera. I should specify that in this case I’m talking about C100 NOT the C100 mk II which is a better camera, but also carries a $2k mark up. The original C100 is still in production as of the writing of this blog, but it may go out of production soon, in which case I’d still recommending seeing about getting one used or refurbished as it is mostly the same camera at a much better price. 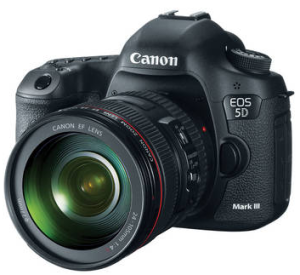 The Canon 5D mk III – If you want just plain amazing video without having to work too hard, here it is. Here’s the deal: The Canon 5D is a truly amazing camera. Some would say it’s the best option. I have friends who swear by it. It will never be beaten in their eyes. Is it the best camera there is? Not at all. Does it produce phenomenal images? For certain. An episode of House M.D. was shot with nothing but canon 5D mk IIs. There are even shots in Marvel’s avengers that were taken with this guy. He’s a beast. He’s an amazing camera. 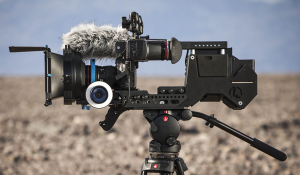 However, without investing a considerable amount of cash in lenses, rigs, external recorders, and other features, you’re never going to get the kind of results that are possible with this camera. You can just spend $3k and you’ll get a camera capable of taking really great images, but to make this camera all it can be, you’ll need to spend another 2-5 grand. What makes it so amazing? It’s the first camera on this list with a full-frame sensor. Actually it’s predecessor, the Mark II was the first full frame camera capable of video that cost less than $50k. It started the large-sensor revolution in video cameras. Full frame means that it’s equal to the size of a 35mm film exposure. What that means is that it takes less light to get a clean, smooth looking image, it also means that it doesn’t take much work to get that really cool looking bokeh (the cool shallow-focus backgrounds we all recognize as a component of cinematic, professional looking images). Finally a large sensor allows for you shoot wider angles, so you can get those big establishing shots more easily. What are the downsides? The 5D cannot record more than 15 minutes without either hacking its software (using magic lantern) or adding an external recorder. For most film-style shoots this is fine because it’s very rare for a single shot to go on more than a few minutes, but if you’re trying to record an event, it’s a big limit. 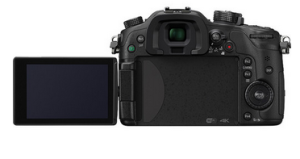 Also, as with most DSLRs the audio options are pretty limited and without hacking the software you’re stuck with an irritating auto gain “feature” (which can be disabled on the less expensive GH4) Also as with all DSLRs it requires a rig if you’re going to go hand held, as the ergonomics are not built for video. The Sony A7sii -The best all-around if you’re going to go with an DSLR rig. While not technically an SLR (it doesn’t have a mirror) it retains the popular SLR form factor and is, in every way, an equivalent to or better than any other full-frame DSLR camera. To canon fanboys this may be controversial, but objectively the A7s is a better camera than the 5D if only for two reasons: the A7s has phenomenal low-light performance. The 5D has really good low-light performance, but the A7s can shoot in near darkness and still get a usable image without much noise. The other reason is that Sony has a pretty affordable add-on option ($700) that adds XLR ports to the A7s. The original A7s is cheaper than the A7sii, the main two differences are the recording capability and the stabilization. 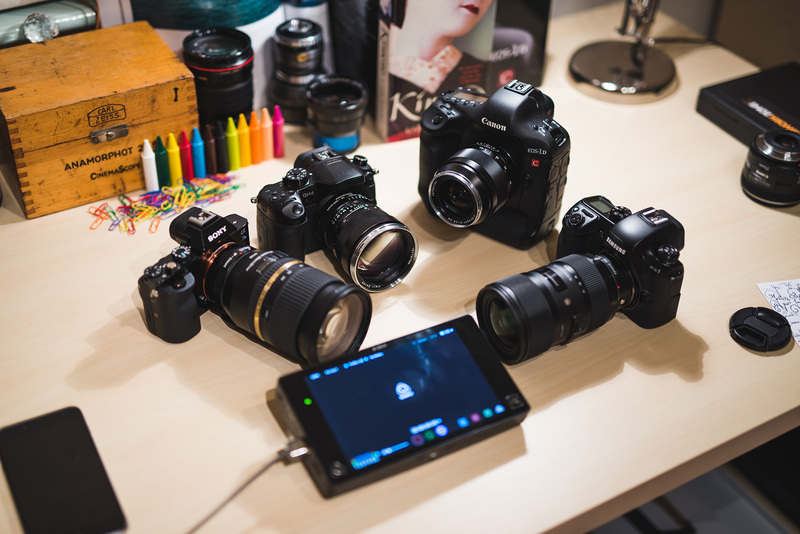 The A7s shoots in 4k, but only the A7sii can record in 4k on board. For the original A7s, 4K recording requires a separate recorder. 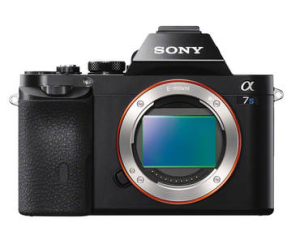 The other difference between the the original A7s and the A7sii is the biggest downside to the A7s; it has notoriously bad rolling shutter, making it a poor choice for high-action shooting and almost impossible to use handheld without some kind of stabilizing rig. This is mostly compensated for in the A7sii by adding image stabilization to the sensor itself allowing for two-stage stabilization, both in the lens and in the sensor. 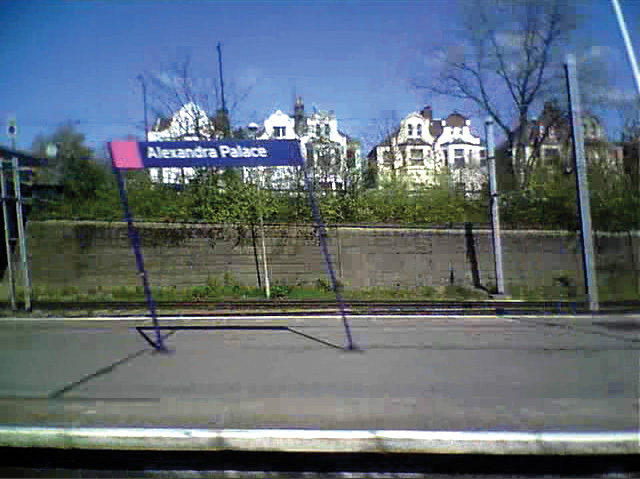 This isn’t perfect, but it allows for much smoother images and greatly reduces rolling shutter. A small downside to both the original and the A7sii is the fact that because it is a Sony camera it uses Sony lenses (which are just ok) but again a lens adapter can allow it to use canon lenses. As with all other DSLRs you can just buy the camera and the lens and start shooting with it, but to get the full use of this guy you’ll want to invest in lenses, LUTs, and other add-ons, which means that it is not very easy to use to it’s fullest capabilities. The Sony PXW-FS7 – A truly incredible camera, and a price that may seem high, but is low for what you get. This is the camera that my current place of employment uses as our standard field recording tool. I love this camera. 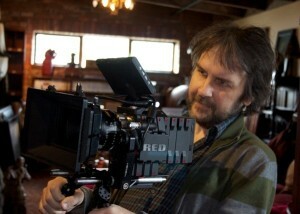 It features a super 35mm sensor. It records in 4k natively. It can take up to 4 XLR inputs (with an available extension from Sony) and is shoulder mountable right out of the box. 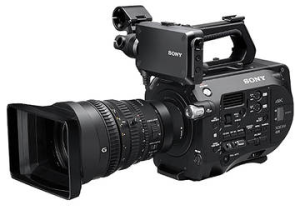 Sony offers several great add-ons that enhance the already robust feature set of this camera such as adding professional battery mounts, 12G SDI outputs, onboard Pro-res recording, off-board RAW recording, more flexible rigging options and others. My favorite feature of this camera is the over-cranking. 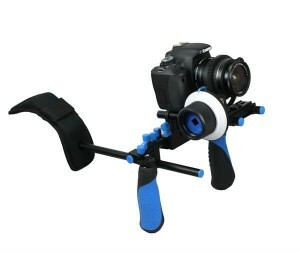 It can shoot up to 180 frames per second continuously resulting in really smooth slow-motion. It also can shoot in S-Log 3, which results in a really high-dynamic range image than can be brought into color correction and tweaked to look like film. To use this camera you need to spend a considerable time learning it, even if you’re a professional I recommend taking an online class to learn how to utilize this camera best. LUTs and color-correction would also be good to study-up on. This guy is not for amateurs or hobbyists. Canon’s C300 Mark II is in a similar category as far as feature set, but starts at six grand premium over this fella and doesn’t have any specs that rank higher. Canon fanboys will be angry at my for not including the C300, but to me it either needs to be full-frame or come down in price to have a place on this list. RED is a camera company that was founded by the same guy who owns Oakley sunglasses. They have several camera models now, but the Epic is the one worth mentioning. It is what was used to shoot the Hobbit Trilogy among others. While digital hasn’t cought up with film, this is the closest it comes. It shoots in 5K and results in images that most people can’t distinguish from film. As far as digital cinema goes these guys are also very affordable even at their $50k price point. I don’t have to tell you they look good, go watch the Hobbit. Before I wrap this up I want to mention lenses for a moment. the best camera can’t produce great images without great lenses. Sony, Panasonic, Canon, and others each have their own standard of lenses. 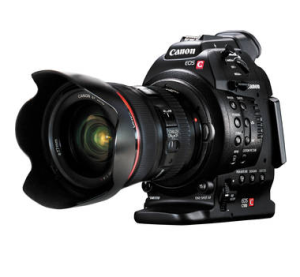 In addition there’s the PL standard which is used for cinema lenses. The option that is going to give you the most flexibility (both in price and in number of lenses) is Canon lenses. No matter the camera, you can find an adapter that will make your canon lenses fit to it. When you buy canon lenses make sure they’re full-frame or APS lenses not APS-C. This will give you more flexibility as you move up the ladder and generally these are going to be better lenses anyway. Rokinon makes a very affordable set of cinema lenses that result in some great images for an affordable price. On the higher end, Zeiss makes some great glass that fits canon which are just incredible. Whether you start with a T2i, GH4, or A7s I recommend investing in canon glass, because even if you eventually move up to a FS7, a C300, or even a RED EPIC, you can use that same glass on any of those higher end cameras. Researching for a large purchase of any kind is hard work, and you always run the risk of something newer and better being released as soon as you purchase your new piece of equipment. If you have any questions feel free to comment below – I may have left something out, or I might be able to clarify it for your specific needs. Blessings!